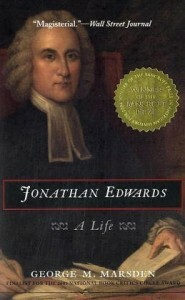 This book review of Jonathan Edwards: A Life by George Marsden has been seven years in the making. I first read Marsden's chapter on Edwards' The Freedom of the Will while working on my philosophy degree as I was attempting to understand Edwards' meaty and heavy arguments against the Arminian position. I resolved to actually read the book once school was out of the way and I didn't have other people telling me what I had to read. Having finally done this thing which I vowed to do, my only regret is that it took me seven years to finally read it. I supplemented reading this book with lectures by John Piper and the men who spoke at Desiring God's conference on Edwards a few years back. Nothing, however, can replace reading about the man's life for yourself. Let me lead off with what I take to be Marsden's overall statement of his approach to Edwards' life: "One of my hopes is that this book may help bridge the gap between the Edwards of the students of American culture and the Edwards of the theologians." The result of Marsden's approach is a book which faithfully develops the narrative of Edwards' life while at the same time carefully examining the theology which was central to all of Edwards' life. 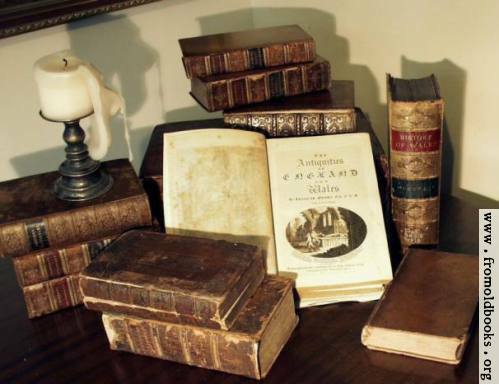 Edwards has become quite a rockstar in our own day, getting conferences devoted to exploring his thought, volume after volume published year after year about him, and most significantly, all of his works are still in the process of being printed and released by Yale at around $100 a volume! He was a man who was appreciated in his day, but certainly not to the degree that he is in our own. in another generation... pass into as transient notice perhaps scarce above oblivion, and when posterity occasionally comes across them in the rubbish of libraries, the rare characters who may read and be pleased with them will be looked upon as singular and whimsical. And yet none of us even knows who Ezra Stiles is unless we're specialists in American History. Now, other people have eulogized Edwards, and it isn't even my goal here to offer any sort of revolutionary take on the man. What is most significant is the biography itself which Marsden has given us. Simply put, it is remarkable. It is the best biography of Edwards that there is, and it will be the high water mark for any and all bios of the man which are ever again produced. After years of hearing Reformed theologians, biographers, laymen, and scholars offer their own unique thoughts on Edwards, I am pretty well convinced that the essence of Edwards' legacy is the notion of the universe's radical God-centeredness. Having read this biography has changed my perception of all of his works. One of Edwards' books which I have only skimmed is his book Original Sin. After reading this biography, I began reading straight through Original Sin and it is remarkable what a little bit of contextualizing can do to help one's reading experience. All in all, if you are an Edwards admirer and reader, don't read any more of his work until you've read Marsden's work. And if you aren't an Edwards admirer, you probably will be after reading this book. I read the Kindle version of this book, but since most people seem to like physical books, you can get it at Westminster for 1/3 off.